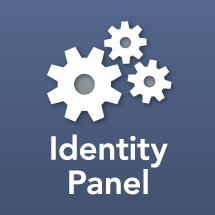 The History Search health probe makes it possible to perform health checks related timing of Identity Panel operations. In particular it allows you to validate that schedules are running as expected, and may also be used to run SLA type validations. The History Search probe works by running a query against the Identity Panel /histories REST API. It offers the same filtering options as a history chart or the history tab in Identity Panel, and returns matches from the last N Units (e.g. AD MA runs in the last 3 hours). This is then processed first by the Object Rule, and then by the Fail Rule. A typical scenario is to use the Count property to fail when there are zero results in a given time range. Important: Just like dashboard charts and the run history interface itself, the dropdown lists will only be populated by actual existing history elements. This implies that the settings for this probe must be created after schedule operations have run for a little while. Provider – Optional provider constraint, can show history for a MIM or AD Connect instance, or for Tools operations like a running a program or script. History – Maps to RecordOf property, things like MA name, program name, etc. Argument – Run profile name, program arguments, etc. Result – result string from history entry e.g. "success", "completed-sync-errors"
for number of items returned. fails if there were no records matching the query.